The Pollcast: Question period is back next week, so how can it be fixed? Members of Parliament will be back in the House of Commons next week, and that means question period is back. But what could make Canadians tune in again? Peter Milliken, former Speaker of the House, joins host Éric Grenier to discuss. After taking questions directly from Canadians in town halls across the country for two weeks, Prime Minister Justin Trudeau returns to Parliament Hill next week to face opposition questions in the House of Commons. To some, the town halls seem to be a better way of holding the prime minister to account than the daily theatre of question period. So does what happens in the House of Commons — unwatched debates, pre-determined votes, unanswered questions and all the heckling — matter? Peter Milliken was the Speaker of the House of Commons from 2001 to 2011. 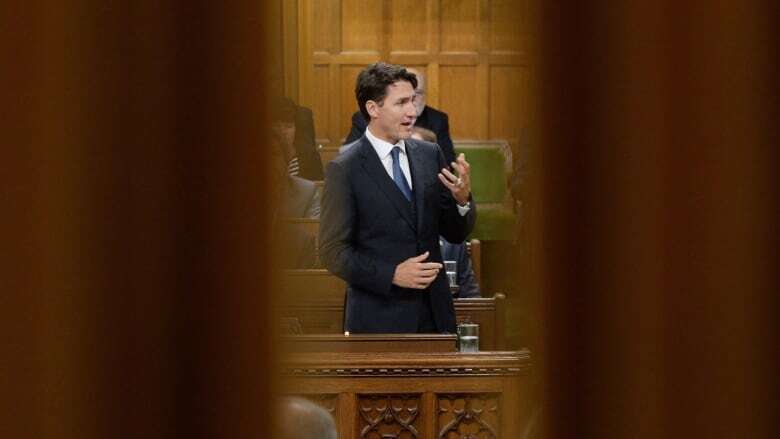 He joins Pollcast podcast host Éric Grenier to discuss the importance of what happens in Canada's Parliament, the role of the Speaker and how decorum in the House might be improved by the current Speaker, Geoff Regan. Follow Éric Grenier on Twitter.